My desire to write you since returning to Washington has been unfortunately unrealizable until now but I believe that you understand a return to Dumbarton Oaks after an absence of several months is always followed by hectic days of constant details of all sorts that need urgent attention. I left Guatemala on the 10th of April flying to Mexico CityIn February and March 1935, Robert Woods Bliss traveled through the highlands and tropics of Mexico, Guatemala, and Honduras to see the ancient cities of the Maya. His traveling companion, Frederic C. Walcott, was at the time a trustee of the Carnegie Institution for Science of Washington and arranged the trip, which included visits to the archaeological sites under excavation by the Carnegie Institution for Science. For an outline and images of this trip, see http://museum.doaks.org/IT_1144 (accessed September 9, 2015). Mildred Barnes Bliss was not able to take this trip due to the illness and death of her mother, Anna Barnes Bliss, who died on February 22, 1935. where I spent one day before continuing to Santa Barbara.Casa Dorinda. There I spent three days with Mildred and then started with her across the continent. It was during our train journey that she gave me your letters, which had arrived during my trip in Central America, and I think I had best take them up in their order. 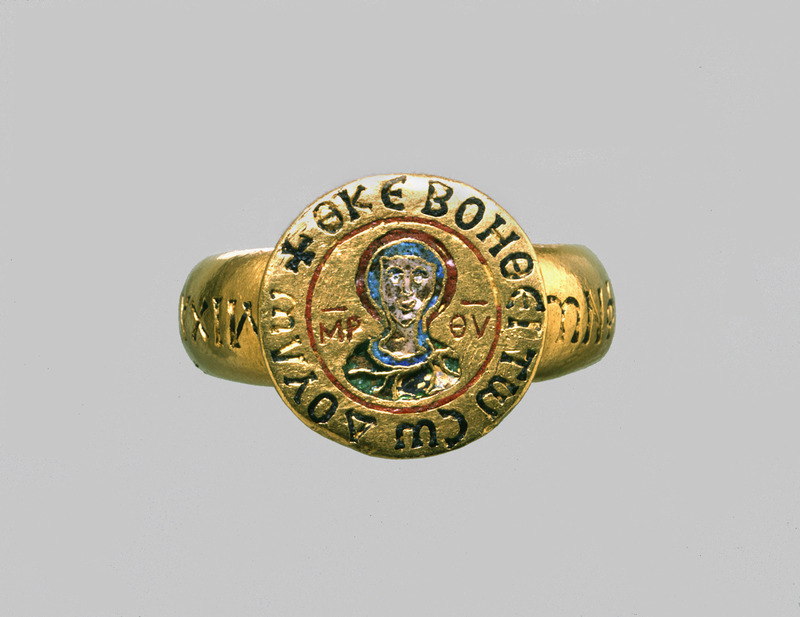 February 1st: I am glad the photographs of the Walters Byzantine manuscripts reached you all right. Thank you for what you write me regarding the carvingCameo of Alexios V Doukas Mourtzouphlos (Byzantine emperor, d. 1205), red jasper, depicting John the Baptist, Saint George, and Alexios Doukas. See Wladimir de Grüneisen, Collection de Grüneisen: Catalogue raisonné (Paris: J. Schemit, 1930), no. 434, figs. 18–20. The present whereabouts of this intaglio carving is unknown; the object is described in Dimitri de Gourko to Robert Woods Bliss, November 28, 1934, Byzantine Collection files, D. de Gourko correspondence. offered by Gourko. I have had no time to do anything about the matter to date but from what you write I hardly think it is worth giving further consideration to. I was absent during the debate in the Senate on the World CourtIn 1935, President Roosevelt submitted to the U.S. Senate protocols for United States membership in the Permanent Court of International Justice (World Court) at The Hague. There was popular opposition to this, and the protocols were defeated. matter but think that the action of the Senate was due in considerable measure to the vituperations of a Catholic priest named Father Coughlin,Father Charles Edward Coughlin (1891–1979), a controversial Roman Catholic priest at the National Shrine of the Little Flower church in Royal Oak, Michigan. In a radio address on January 20, 1935, he opposed the United States’s membership in the World Court, stating that “joining the World Court to maintain peace strongly stinks of diplomatic deceit.” “Coughlin Opposes World Court Entry; Radio Priest Holds Tribunal is Founded on Hate and Minority Right to Disrupt,” New York Times, January 20, 1935. His speech is credited with changing the Senate vote on January 29 of those against from 18 to 52. “Senate Beats World Court, 52-36, 7 less than 2/3 Vote; Defeat for the President; Concessions are Futile,” New York Times, January 30, 1935. of whose immersion in politics in this country you have doubtless, heard. I think that poor Bronson CuttingBronson Murray Cutting (1888–1935), a U.S. senator from New Mexico. also was influential in preventing the Senate voting our entrance. February 6th: Thank you for bringing to my attention the pre-Columbian objectsThese objects have not been identified. According to Robert Woods Bliss’s undated note, this group consisted of a gold disk (6,000 francs), three frogs, and one bell (1,000 francs). offered by Bustros.Elias (Elie) Bustros, an antiquities dealer in Beirut, Lebanon. In view of the intense interest of other objects to which your other letters referred we decided not to attempt it. I skipped to your letter of March 5th regarding the Claudius CoteClaudius Côte (1881–1956), a collector in Lyon, France. 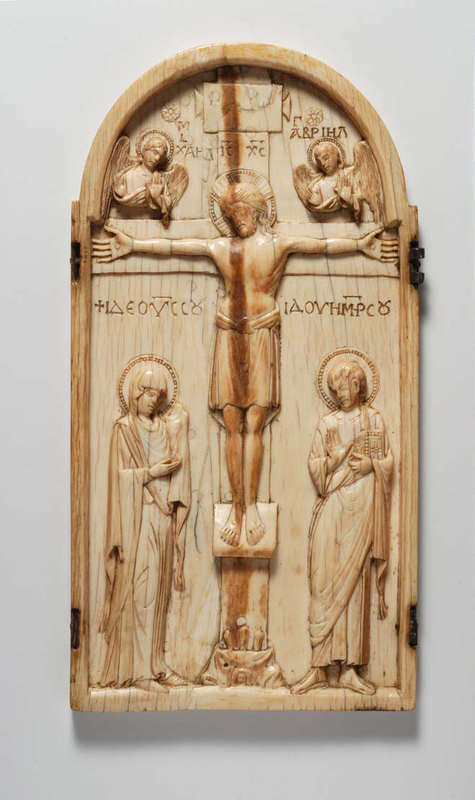 ivory.Crucifixion, ivory, late tenth century. Adolph Goldschmidt and Kurt Weitzmann, Die byzantinischen Elfenbeinskulpturen des X.–XIII. Jahrhunderts, vol. 2, Reliefs (Berlin: Bruno Cassirer, 1934): 68, no. 165, pl. 56. From what you wrote regarding it, neither Mildred nor I thought it would add a great deal to our interest and pleasure to possess it, especially in view of the Burns-Bacri ivory.BZ.1929.2. So, on reaching New York I sent you a cable telling you that I had just emerged from Guatemala and that we would reject the Bustros and Cote objects.See telegram of April 19, 1935. My cable also referred to the exciting news in your letters of February 21st, March 9th and March 22nd and I have received what I hope is your preliminary answer in your cable of April 25th or 26th. From what you say in one of those letters you may possibly be in Rome today and I fervently hope there is a possibility that Sangiorgi will be able to produce the Annunciation.Annunciation, late seventh–early eighth century (? ), ivory, Civiche Raccolte d’Arte Applicata, Castello Sforzesco, Milan, inv. A.14. It was acquired from the Trivulzio Collection in 1935. The ivory has been variously dated. See Kurt Weitzmann, ed., Age of Spirituality: Late Antique and Early Christian Art, Third to Seventh Century (New York: Metropolitan Museum of Art, 1979), 198–99, no. 448; and Serena Ensoli and Eugenio La Rocca, Aurea Roma: Dalla città pagana alla città cristiana (Rome: L’Erma di Bretschneider, 2000), 590, no. 284. See also Byzantium and Islam: Age of Transition Seventh–Ninth Century, edited by Helen C. Evans with Brandie Ratliff (New York: Metropolitan Museum of Art, 2012), 46–47, no. 24H. You, of course, gather from my cablegram that that particular object was the one which interested us of the three things and the Holy Women at the TombHoly Women at the Tomb, Early Christian, ca. 400, ivory, Civiche Raccolte d’Arte Applicata, Castello Sforzesco, Milan. mentioned in your letter of February 21st and further referred to in subsequent letters. From the photographs which Sangiorgi sent me that Annunciation must be a superlative object. Neither the Kaiser diptychNow in the Civiche Raccolte d’Arte Applicata, Castello Sforzesco, Milan. See Wolfgang Fritz Volbach, Elfenbeinarbeiten der Spätantike und des frühen Mittelalters (Mainz: Verlag des Römisch-Germanischen Zentralmuseums, 1952), 29–30, no. 25. nor the “Otto” plaqueChrist, Mary, Saint Maurice, Angels, and the Emperor Otto II and his Family, tenth century, ivory, Civiche Raccolte d’Arte Applicata, Castel Sforzesco, Milan. See Adolph Goldschmidt and Kurt Weitzmann, Die byzantinischen Elfenbeinskulpturen des X.–XIII. Jahrhunderts, vol. 2, Reliefs (Berlin: Bruno Cassirer, 1934): 15–16, pl. 2. seem to me to approach it in beauty and interest. Needless to say, we are eagerly awaiting further news from you. Your description of the jewelPendant and Reliquary, ca. 398–407, agate, gold, emeralds, and rubies, Musée du Louvre, Paris, acc. no. OA 9523. On one side, the names of Maria, her parents, and husband are arranged to form the chi-rho (the first two Greek letters of the name of Christ). This side reads (clockwise around a central cross): HONORI, MARIA (forming the curve of the rho), SERHNA, STELICHO. On the other side, the names of Stelicho, his wife, and children are also arranged to form the chi-rho. This side reads (clockwise around a central cross): STELICHO, SERENA (forming the curve of the rho), EUCHERI, THERMANTIA. On both sides, the horizontal bar of the cross reads: VIVATIS “May they live.” Between the two pieces of agate is earth, most likely from the Holy Land. 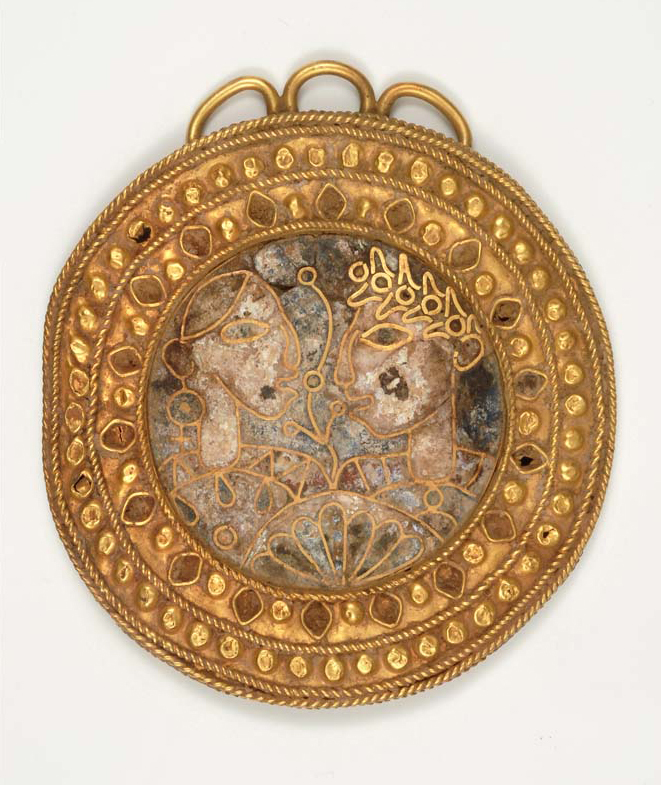 The pendant, which had been in the Trivulzio Collection, was acquired by a member of the Montesquiou-Fezensac family, and was an anonymous gift to the Musée du Louvre on behalf of the Société des Amis du Louvre in 1951. See Kurt Weitzmann, ed., Age of Spirituality: Late Antique and Early Christian Art, Third to Seventh Century (New York: Metropolitan Museum of Art, 1979), 306, no. 279. sounds very interesting. The casts and impressions reached us all right but we have not yet had a photograph of it from Sangiorgi. Historically, I should think it were of prime interest. Geoffrey Dodge arrived a few days ago with the Gourko ringBZ.1934.3. which we both like very much, and Dr. Stein,Ernst Edward Aurel Stein (1891–1945), an Austrian historian and professor of Byzantine history. Between 1934 and 1937, he was professor of Byzantine history at Catholic University. Professor of Byzantine History at Georgetown University [sic], attributes it to the Xllth Century. And, by the way, he thinks the Sangiorgi pectoral pendantBZ.1933.5. This piece is now considered a forgery. is pre-Byzantine, possibly Coptic or [blank area on carbon], and therefore very early. Your Greek Minister friendDemetrios Sicilianos (b. 1880), Greek minister to Hungary (1933–1935) and to the United States (1935–1940). arrived in Washington three or four days ago and we are hoping that he will soon present your letter. William and Betsy were here, staying at the British Embassy,William and Bettine Tyler were friends of Sir Ronald Charles Lindsay (1877–1945), the British ambassador to the United States between 1930 and 1939, and his wife, Elizabeth Sherman Hoyt Lindsay. the first two days of our return but we only had a brief visit with them. They were both flourishing. We do earnestly hope that Elisina’s two boys are so improvedSee letter of March 27, 1935. that she is free from anxiety. What a dreadful suspense she must have had before she knew that the accident would not prove fatal. There is still one letter to which I have not referred, the one of April 13th, in which you wrote that you had asked Stora to send a photograph of an ivory.Virgin and Child, ivory, Museo d’arti applicate (Castello Sforzesco), Milan, no. 16. The museum acquired this ivory in 1935 as part of the bequest of the Trivulzio Collection. See Robert P. Bergman, “The Earliest Eleousa: A Coptic Ivory in the Walters Art Gallery,” The Journal of the Walters Art Gallery 48 (1990): 39–40, figs. 5–7. This he has not done, so it may mean that he has either already sold it or did not obtain the refusal of it. If it is still available perhaps you can induce Stora to send a photograph, description and history of it, together with the price.